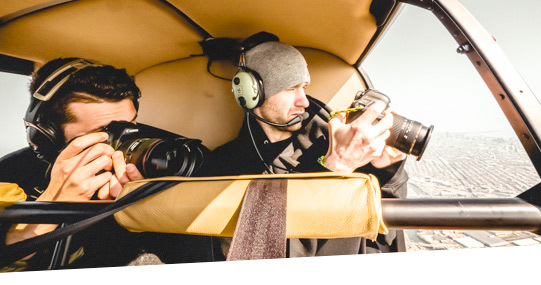 Fly a 40-minute custom helicopter route for aerial photography. In order to get you the perfect shot we will remove the doors of the helicopter to avoid absolutely any glare from the plexi-glass. You will receive an extra safety briefing to ensure that your gear doesn't fall out and you are strapped in safely. We will sit down with you before the flight and discuss the sites you would like to get shots of, the altitude and angle you would like to get the shot from and then determine the route. Certain restrictions apply. Flight time is about 40 minutes.